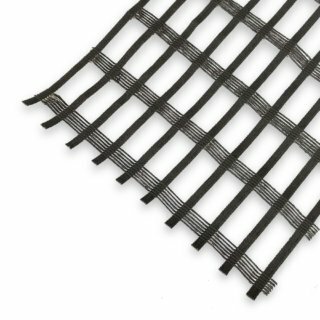 GEOTER W PET AND F PET ARE REINFORCEMENT GEOTEXTILES MADE WITH HIGH TENACITY PET YARN, MANUFACTURED BY A WARP KNITTING PROCESS. 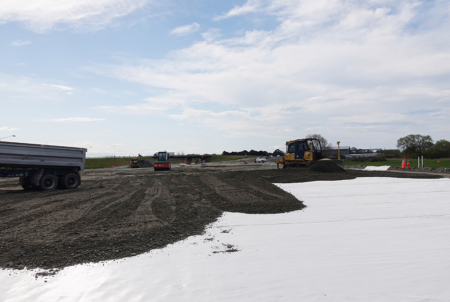 This range is specially designed for reinforcement of embankments on soft soils, road foundations, supporting structures, fills and slopes. 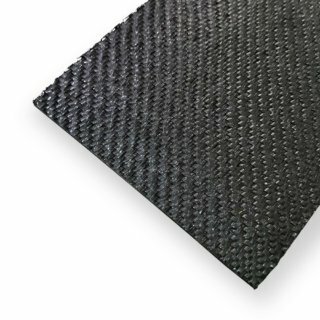 In addition, the F PET range has a backing of woven polypropylene (PP) geotextile to provide enhanced separation, filtration and protection characteristics. Geoter provides high strength at low strains and is designed to perform over extended lifespans of 100+ years. 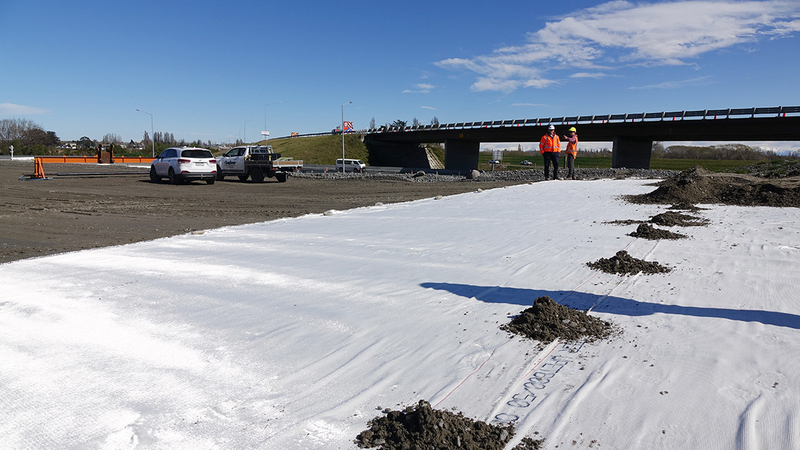 The Geoter F PET and W PET ranges are NZTA approved and the data sheets detail appropriate factors for design. Please contact Cirtex® for additional information and design support. 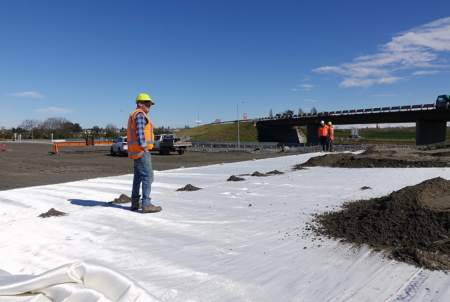 What is the difference between Geoter and DuraForce™ WG geotextiles? 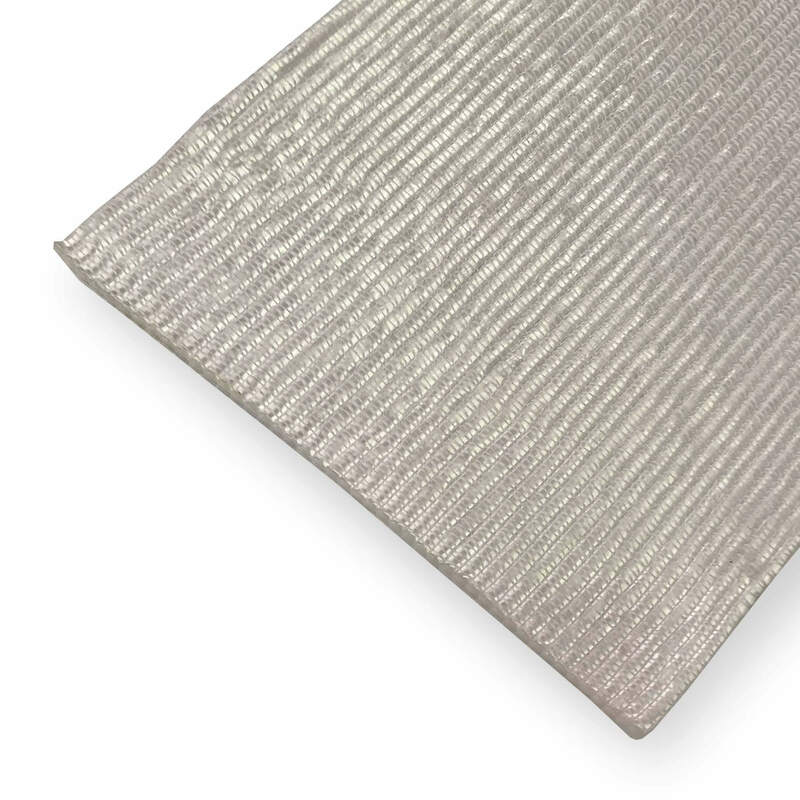 Geoter is a polyester geotextile and is available in much higher strength grades. 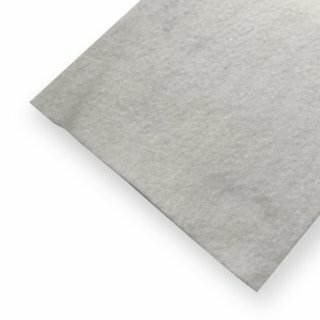 Polyester has superior long-term strain properties. 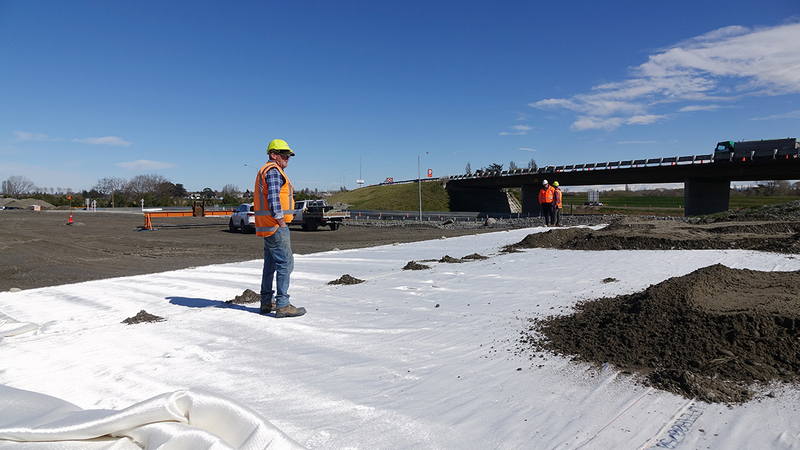 Therefore, Geoter is better suited to long-term applications under high loads, such as basal reinforcement for embankments over soft soils. 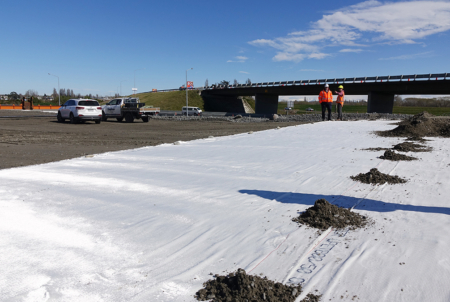 DuraForce WG is a polypropylene geotextile designed for separation and reinforcement in short-term load applications such as pavements and haul roads. Can Geoter be joined in the roll direction? 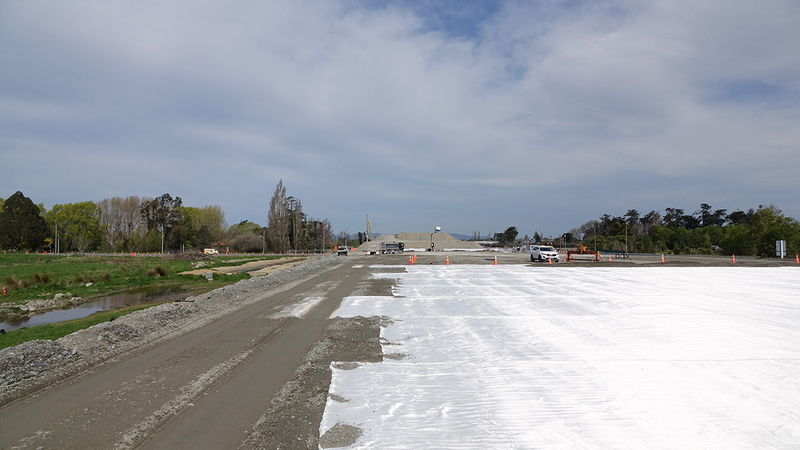 No, one continuous run must be laid over the reinforced area. How much do I overlap rolls side to side? This is decided by the design engineer and depends primarily on how soft the underlying ground is. 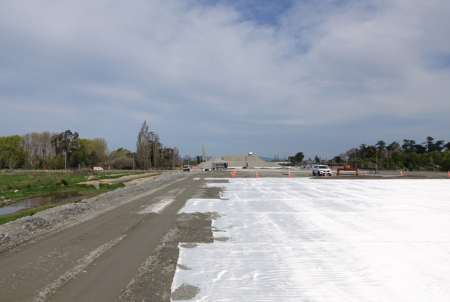 300mm is a standard overlap but on soft ground more may be required to ensure any settlement doesn’t separate the two rows of geotextile, potentially leaving an area unreinforced. 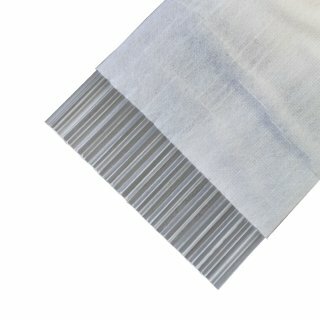 Can Geoter be deployed by hand unrolling? Most grades and roll sizes of Geoter will be too heavy for a two-person lift and must be deployed with a spreader bar on a machine. 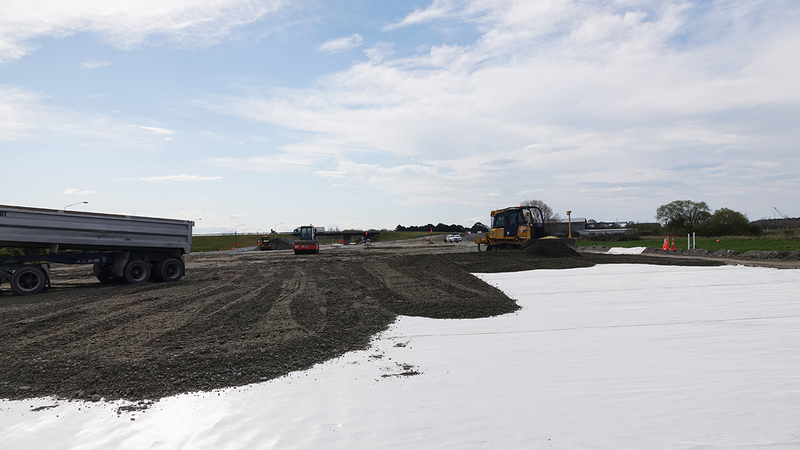 Wick Drains can be of significant assistance in increasing the speed of consolidation of very soft soils and ultimately increasing the shear strength of the soil such that some engineering structure may be constructed.